WAKISO – Police have protested the arrest and alleged torture to death of their officer by Internal Security Organisation (ISO) operatives. 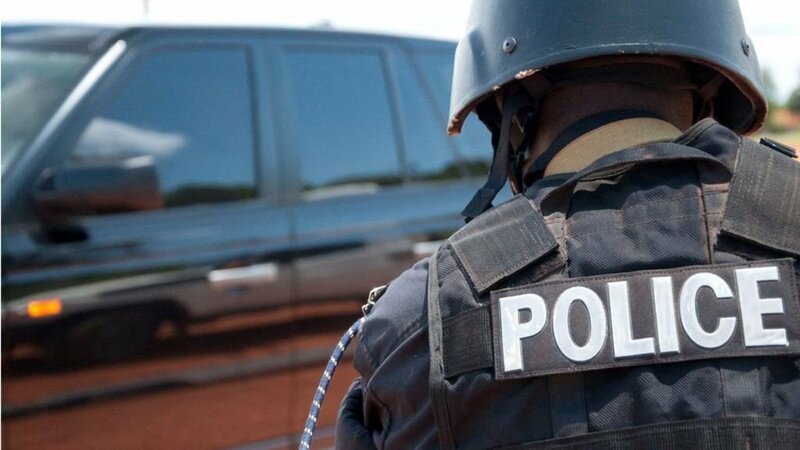 Police Constable Gideon Mbirire, attached to Kabulengwa Police Post in Nansana Municipality, Wakiso District, was arrested last Thursday last week for allegedly hiring out a gun to a criminal. He was later reported to have died after being tortured during detention at Kawempe military detach. And on Monday, Police spokesperson Fred Enanga said ISO operatives wrongfully arrested Mbirire. “Our police officer was arrested under unclear circumstances. I say unclear circumstances because arrest procedures were not followed. The operatives from ISO in Kawempe following up the intelligence reported at Kalerwe police proceeded to arrest Constable Mbirire without alerting Wandegeya and Kawempe which the supervisory police stations,” Mr Enanga said. He explained that Mbirire had been arrest after the wife of one Isma Ssemwogerere reported to police that her husband possessed a gun, which he occasionally used to threaten her with. “When the wife saw him released, she shared that her husband occasionally had a gun. Ssemwogerere was rearrested. It was at this point he alleged that he had participated in several robberies with Constable Mbirire. ISO operative and soldiers went and arrested Constable Mbirire without introducing themselves to Wandegeya and Kawempe Police stations,” Mr Enanga said. Mr Enanga said then the ISO team commanded by Lt Swarehe Begumisa did not inform Wandegeya and Kawempe police stations but instead detained him at ISO offices. “The interrogation was full of torture and the officer became weaker. It was until they realised that his life was in danger and took him to Kawempe Police Station where he was rejected. We don’t receive wounded or tortured suspects,” Mr Enanga said. Police said after Kawempe Police Station refused to take in a badly injured Mbirire, Private Ifad Kawagga together with Bwaise Parish Intelligence Security Officer (PISO) Mohammed Kimbugwe took him to Mulago hospital but he had died. Staff at Mulago mortuary rejected Mbirire body since it lacked proper documentation. It was at this moment, Pte Kawagga and Mr Kimbugwe approached Mulago Police and acquired a reference indicating that he had been killed by the mob. “We have already arrested Kalerwe OC [officer in charge] ASP Yakub Wakasada for not alerting his supervisory police station. We are looking for Kimbugwe and Pte Kawagga who drove the vehicle carrying the body of Constable Mbirire,” Mr Enanga said. Mr Enanga said information they have so far gathered indicate that Mbirire was tortured in the office of GISO Kawempe. Police said a hunt for Kimbugwe, Pte Kawagga, Lt Begumisa and Kawempe GISO has been launched. Also wanted is Lt Col Lutalo UPDF head of Uganda Cooperative Transport Union (UCTU).